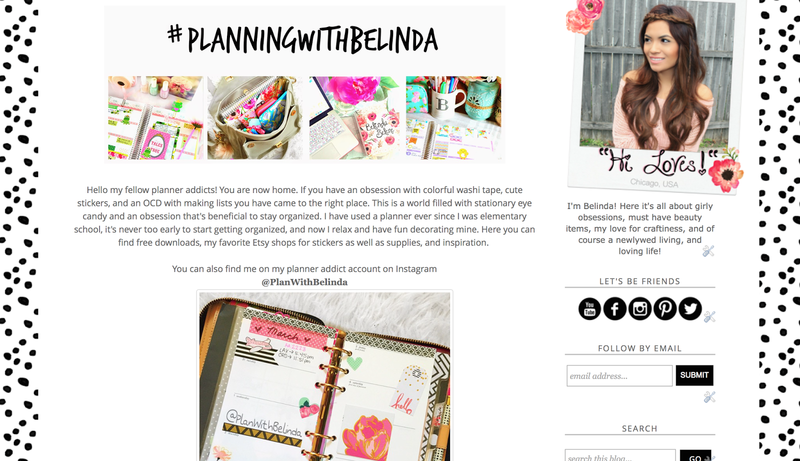 BelindaSelene: Blog's Brand New LOOK! Welcome to my new and improved blog! Ahhh I am beyond excited! I have been trying to revamp and remodel this baby, aka this blog, for over a year now. Kind of like a room in my house hee hee. Doesn't she look so pretty? I have always used the standard templates that blogger provides and never really understood how to edit it. It's pretty much a whole new language to me and googling how to do this or that gives me a headache and I eventually give up. For a minute it looked so cluttered I didn't even want to work on improving it, but this made it so easy. Want to learn how you can too? Keep on reading. I have had this blog for over three years now and I am still learning. Simple things like changing the color and size of the font seems almost impossible. Let me remind you am very tech savy and it is still very difficult for me to understand html form. Don't feel bad if you are in the same boat as me. Since it was a pain to adjust a picture and even the header for my blog I didn't feel motivated to post more often. It's almost like trying to do homework in a desk filled with stacks of paper, your lunch from earlier that day, junk mail, your computer, the phone charger, and more unmentionables. Yikes it feels like so much clutter that you can't focus on the point of the post. To me the color palette was off, there were too many pictures, nothing was lined up evenly, too many different kinds of fonts, and what not. I needed it to look uniform and eye catching. Something that will lure you viewers to reading and be engaging on your blog. It felt chaotic. After the makeover it looks relaxing and even more professional. If you are on a budget I would suggest to google "Free (blogger, wordpress, etc) templates". Depending on what kind of blog you have you can also add the words girly, feminine, fashion, pretty, fun, colorful, and so forth. That will narrow down your research. Then simply follow their instructions to applying it to your blog. Let's say you don't mind spending a little extra, especially if you are really dedicated to your blog and want to make it successful. Than I would highly recommend investing in it. Honestly, I have clicked through hundreds of blogs before and only read the ones that look appealing to me. Otherwise they give me a headache. I can spend multiple hours getting lost reading blogs because they look beautiful. That's what you want! This beauty only cost me a one time payment of $28! I think that's a steal! It came with instructions a ten year old can follow. Nowaways that wouldn't be surprising if with so many prodigies ha ha but you get my drift. I learned so much too. I now understand why it was difficult to begin with. I found this template on Etsy and there are many you can choose from too. Click here. I want to thank Chelsea for making it simple and easy to apply to my blog and appreciate the tutorials as well. Now I have a section dedicated to all of my planner addicts! See how much I love you? I dedicated a whole page just for you. I hope you enjoy this new addition to my blog helpful and enjoyable! Let me know what else you would recommend and your thoughts in general. I'm off to edit a follow me around vlog on my second YouTube channel BelindasLife. Subscribe to see more of my personal life. Love you all so very much. Yay thank you so much for checking it out! Ricardo is at work and I have no one to get excited with me and celebrate with execpt Gingi because Coco is sleeping ha ha! Ha ha yes it does! I guess I was subconsciously thinking about my planner! Thank you. Anita I love you blog! I need your blog button to add you under my favorite blogs. Aw thanks! Well, I don't speak blog language so I guess it isn't the "follow this blog" button haha..
Love this new look! looks great!!!! So happy you like it! It looked yucky before lol. The new look is awesome and organized! Totally agree with organized! How am I suppose to have a blog about organizing your life when my blog looked so cluttered ha ha. Thank you! Awwww Michelle! Thank you my love! Muchos besitos! looks very nice!! congratulations!!! I've been "going to blog" for almost 8 years now, and after many many failed attempts I finally got a layout I like and can work with!!! I'm excited to start blogging!!! Happy and Excited for you too!!! God Bless and B Sweet! Oh my gosh I love your layout! Did you draw your header? It looks so glamorous! Let me know when you start I would love to read it! Looks amazing! Very girly like you!! Its very well organized! Love it! Thank you so much beautiful! I'm so excited you guys are liking it as much as I do! Eeeek! You are such an inspiration to me Belinda! 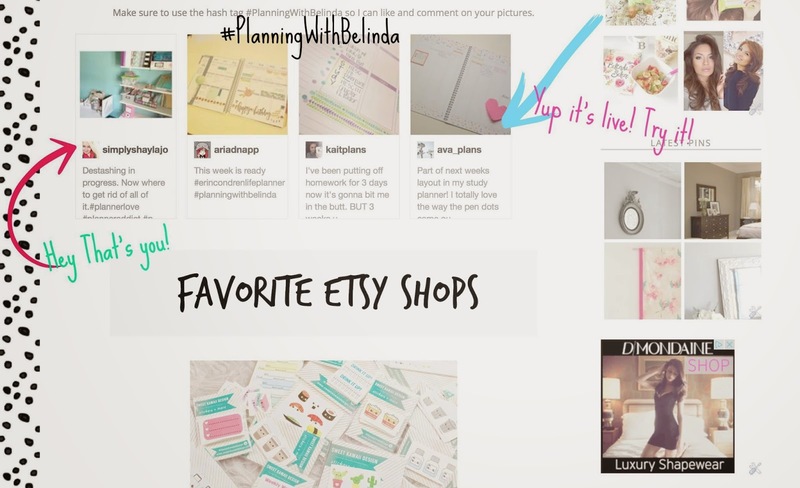 I love planners and I recently found you on Youtube and I am such a fan - I love your style. I have been struggling with my blog for a couple of years precisely for the same reason you described here! I want to make it pretty but I don't know how and so I don't blog as much as I want to because it seems overwhelming...Thanks so much for all your tips. Here is to new beginnings!!! Now you are part of our little virtual family! Welcome my love! You are going to love it here. Everyone is so kind, sweet, and helpful. Congratulations on your new blog look! It's beautiful and so you! ( if you know what I mean... Ha ha). The blog looks heaps cleaner than the previous one plus it's great that you added a new section for the planner addicts :). Wish you more and more success each day. Keep healthy, stay smiling. Sending you hugs all the way from Sydney AUS. I feel like a huge weight is lifted off my shoulders now that it looks cleaner. Thank you so much y Malini! You are extremely sweet! Btw absolutely love your name doll! 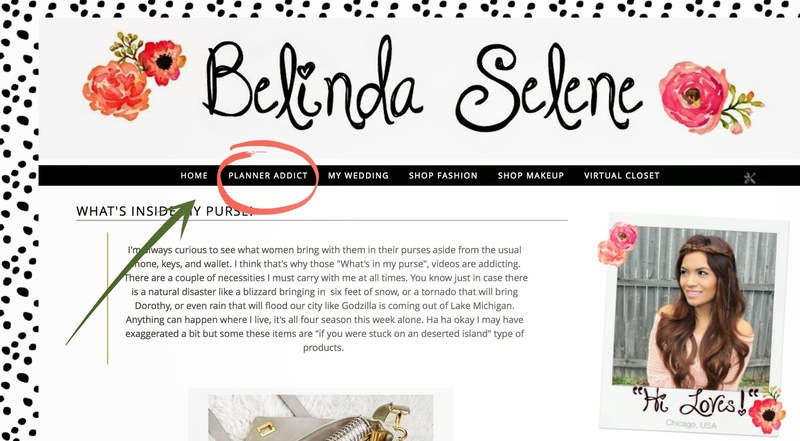 I love the look of your blog Belinda. You have an eye for beauty. I design my own blog. I am not yet done though, I still want to add a lot of elements to make look even better. I Google like crazy to understand and somehow I get gist. Thanks for sharing this other option, it may come in handy. Girl last night I stayed up until 3am trying to look for a cute Instagram widget and gave up lol. Good thing I found this template and instructions this morning. I was so close to not finishing it ha ha. Thank you so very much my love! Your opinions really helps me out a lot. Love you! It looks so amazing! Congratulations, and your planner videos give me life!! Thank you. Hi Kristine! That really means a lot me doll! Thank you so very much! You made me smile from ear to ear! Henelore! Hi love I thought I recognized your picture, beautiful! I love you too! I finally received the disk with all of our pictures and plan to update that section with pictures from my bachelor and bridal party as well. And of course our wedding. I have over 2,000 to go over though lol. It might take me a while before it's all up. Your blog looks so good! xo I've been looking to re vamp my blog as well, I just can't seem to find the right theme to match what I want. Omg just went on your blog and now I'm obsessed! It looks wonderful! I'm probably going to spend the new couple of hours reading it! Love the planner page! 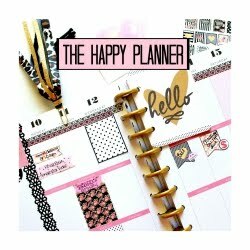 When will you have a planner workshop here in Chicago??? Omg that would be awesome! I would love to do a meet and greet with the planner community and give out little baggies of planner goodies and just talk about our planner lol. I wouldn't even know where to start with that lol. I hope this helped you in case you want to do a makeover to your blog love! Her instructions are impeccable and her templates are extremely affordable compared to other prices I have seen. Looks so beautiful! I love the layout and everything about it! I just started mine and i'm using yours as inspiration! I can tell you put a lot of time and effort into it! Great job girl! hi sweetheart is this with blogger? I just wanted to say thank you for advertising Chelsea @ Bella Lulu Ink! She is sp precious to work with and her designs are absolutely flawless! I've had so many blog templates over the past year trying to figure out what works best with my blog and then I discovered your post and absolutely adore my blog now! It's no longer something I get frustrated with when I look at it :) By the way you, your personality, and your blog are all gorgeous and please keep writing!